A unique course at the University of Florida College of Veterinary Medicine is offering students an experience found nowhere else in the world. The SeaVet Clinical Training course offers a comprehensive approach to specializing in aquatic or marine mammal medicine. The nine-day program has been offered at the university for nearly a decade and incorporates both lectures on a wide-range of topics and on-site visits to aquariums, zoos, and Sea World Orlando. The university takes advantage of web-based communication and invites expert speakers from across the country to lead lectures and discussions online. This enables students who are not able to come to Florida to participate. Elena Graebener came from Germany to experience the course. “In Europe, there are not many possibilities to learn about marine mammals,” she said. 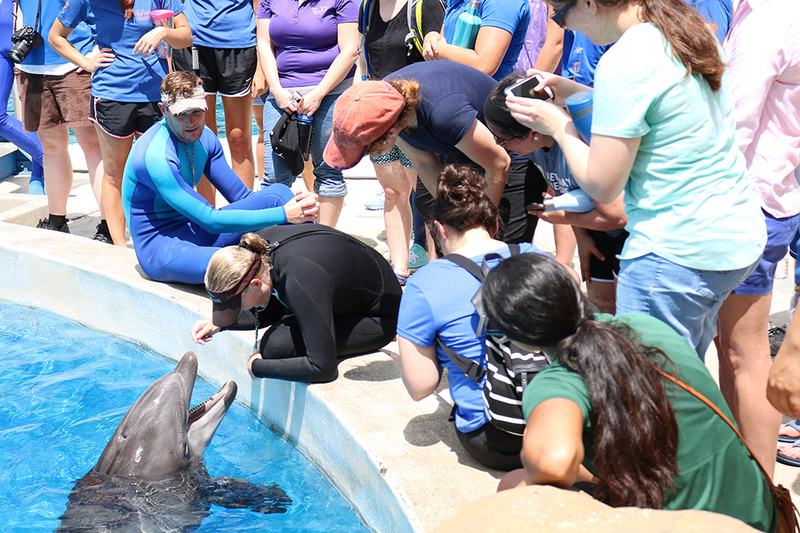 Mike Walsh, D.V.M., a clinical associate professor of aquatic animal health at the UF veterinary college and SeaVet’s program organizer, said there are practical aspects of the course. “Our goal is to not only give them the best education possible, but also to give them a leg up on getting out there into the job market,” said Walsh. Visit http://conference.ifas.ufl.edu/seavet/index.html to learn more about SeaVet.